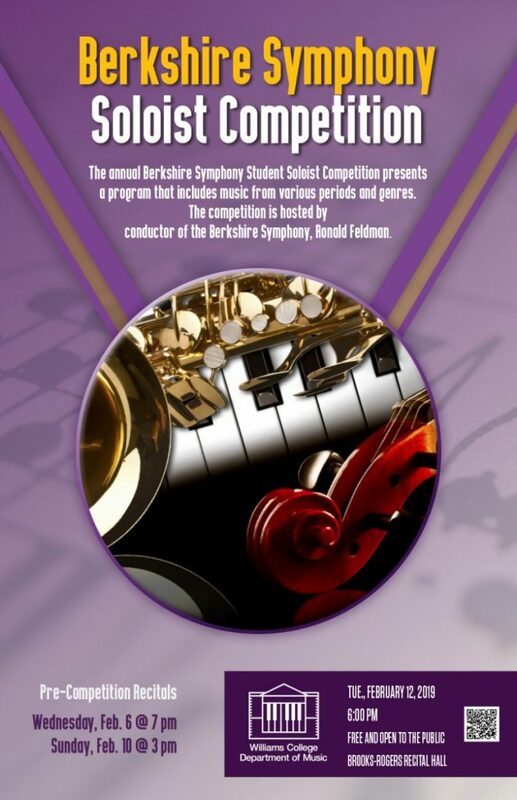 The annual Berkshire Symphony Student Soloist Competition presents a program that includes music from various periods and genres. 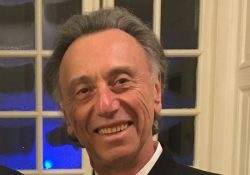 The competition is hosted by conductor of the Berkshire Symphony, Ronald Feldman. The competition is open to Williams College students who have completed required instrumental or vocal studies, are enrolled in qualifying courses, and have been recommended by their instrumental or vocal teachers. Each may choose a movement from a concerto, a single-movement work, a concert or operatic aria, or song cycle for soloist and orchestra. This year’s field includes a number of vocalists and instrumentalists. Their selections are also being performed in a recital setting at two performances before the competition. The first is on Wed. Feb. 6, at 7 p.m. The second is on Sun. 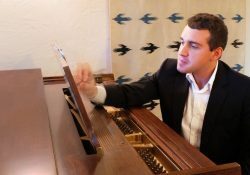 Feb. 10, at 3 p.m.
A distinguished panel of judges of professional musicians from outside the Williams community chooses the winners. 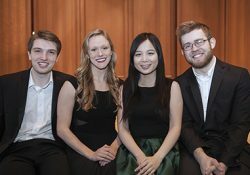 The competition winners will appear with the Berkshire Symphony in the final regular season concert on Friday April 26 in Chapin Hall.